So if you could go back roughly 130 years and show someone the automobile, they would love it, right? If you asked someone the question, “is this product something you would buy and use?” the answer would be a resounding “Yes!”. Right? Well… not really. 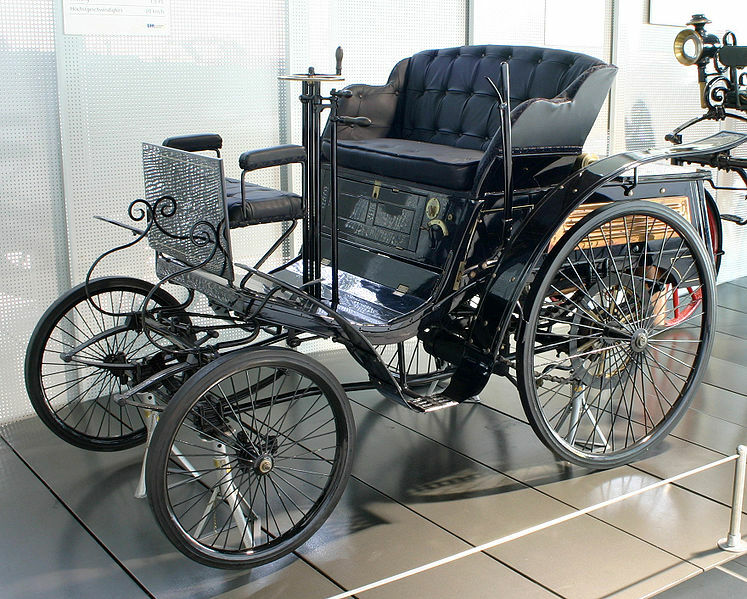 When the first automobiles rolled onto the streets in the late 1800’s, they were met with skepticism and fear. People (and horses) were terrified by the noise, and people just couldn’t understand why anyone would need to go so far or why they would be in such a hurry. In other words, the automobile was an invention for a problem no-one had. Or, to be potentially more precise, a problem they didn’t yet know they had. If you had shown concept drawings of the automobile to a focus group in 1885, or a working prototype to a user testing group, you might have walked away thinking that you’d be better off working on putting a clock radio* in your range of horse-drawn carriages. The iPad was a solution to a problem that no-one really had. Companies and products that innovate are successful because they can predict user behaviour before the users go anywhere near it. They are also good at convincing (selling) users that they have problems that their products can solve. No-one had a standing-motorised-transport-problem before the Segway was invented, but the company behind the gyroscopically controlled contraptions still managed to ship over 50,000 units by 2009. User testing is one input to product design; one of many. Getting the input and responses of potential users early in the design process is crucial; however to make the results really meaningful you need to interpret them in relation to the test user’s context… and sometimes I think you just need to take the responses with a grain of salt. You also, I think, need to understand that innovation often comes from having the courage to challenge users on what they think they need and what problems they have. * I’m of course aware that there were no clock radios in 1885. The first transistor radio wasn’t invented until 1954 by Sony in Japan. Call it poetic licence. This entry was posted in Product Design, Product Management, Software management and tagged innovation, product design, user testing. Bookmark the permalink.